Two Tribes KX, a brewhouse and taproom in King's Cross, unites craft beer, cutting-edge music and street food in Tileyard Studios, a co-working space that's home to companies like Rapha, Pretty Green, Beats headphones, and over 100 recording studios where you'll find Mark Ronson, Lily Allen, Basement Jaxx and The Prodigy. 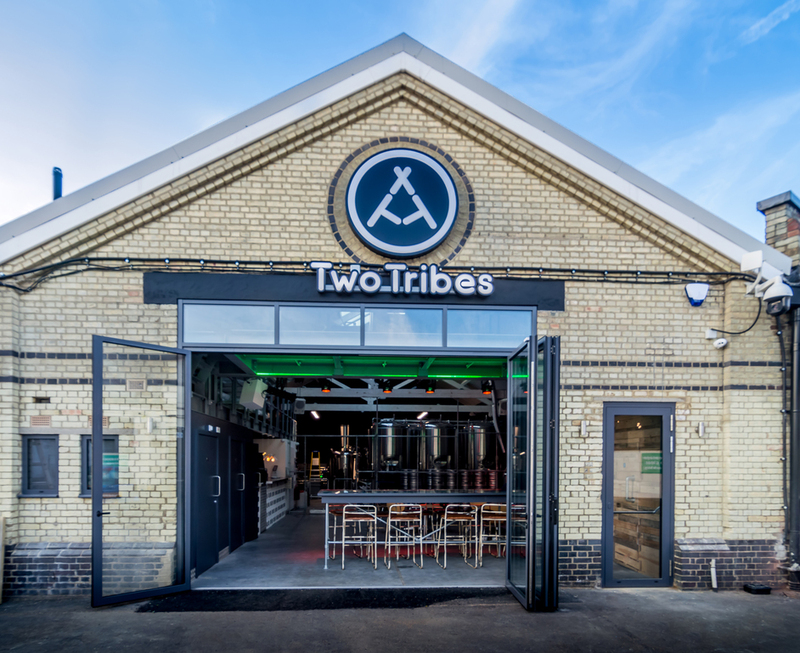 Adding to the mix, Two Tribes is a brewhouse set up by Justin Deighton and his wife Niki which brews one-off beers, serves hand-stretched pizzas and provides small batch spirits from local suppliers. You can also come here for cook outs, intimate gigs, DJ sets and one-off parties. Music sessions make use of the Funktion One Sound System and you can expect to hear some big names in the music industry thanks to an ongoing partnership with Island Records. There's a laid back vibe at this 2,500 square foot industrial space where you can enjoy good food, small batch beers and great music. Two Tribes KX clubs, bars, cabaret nights, casinos and interesting nightlife. What are the best dining options near Two Tribes KX London? Two Tribes KX gyms, sporting activities, health & beauty and fitness. The best pubs near London Two Tribes KX. Where to have your meeting, conference, exhibition, private dining or training course near Two Tribes KX. From cheap budget hotels to luxury 5 star suites see our deals for Two Tribes KX hotels, including DoubleTree by Hilton London - Islington from 79% off.